80% cotton/ 20% polyester. Covered full length zip. 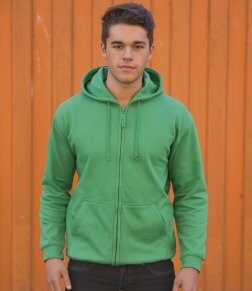 Double fabric hood with self coloured drawcord. Front pouch pockets. Ribbed cuffs and hem. Twin needle stitching detail.